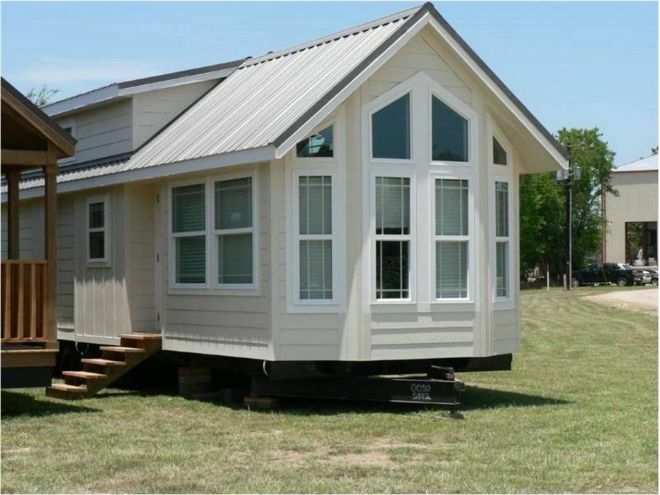 This new park model is for sale in Tyler, TX as stated by RV Trader, where is listed at $41,236. 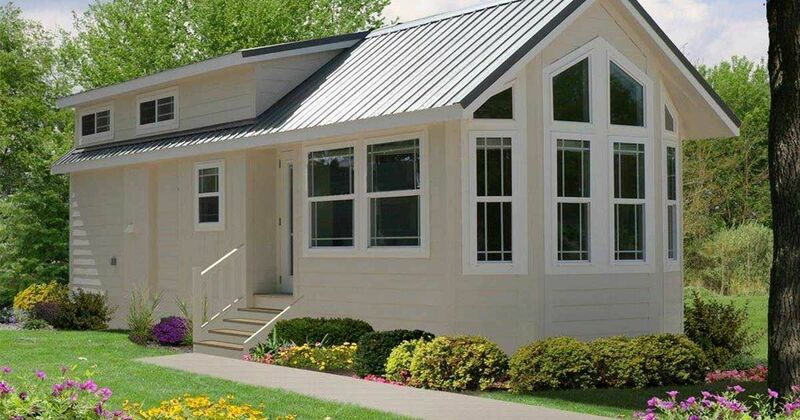 The manufacturers, L. Pratt Homes, make sure to build all their modular units in a budget friendly manner and claim that they're completely customizable. According to the company's owner words on RV Trader, they work very hard to tailor every park model to the needs of their clients so, "ultimately we never build two modular homes alike." To see one example of their work, take a look at their 2016 model, the 398 square feet "Trinca" park model. White, bright colors are always a smart choice for small places, they give the room the airiness and light that otherwise they may lack. 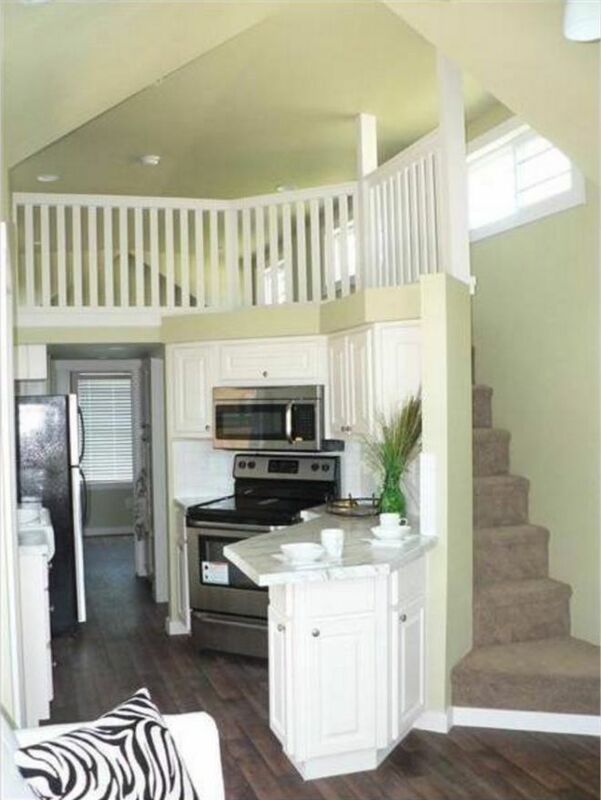 However, this 204 square feet combination of common area and kitchen doesn't lack space at all. 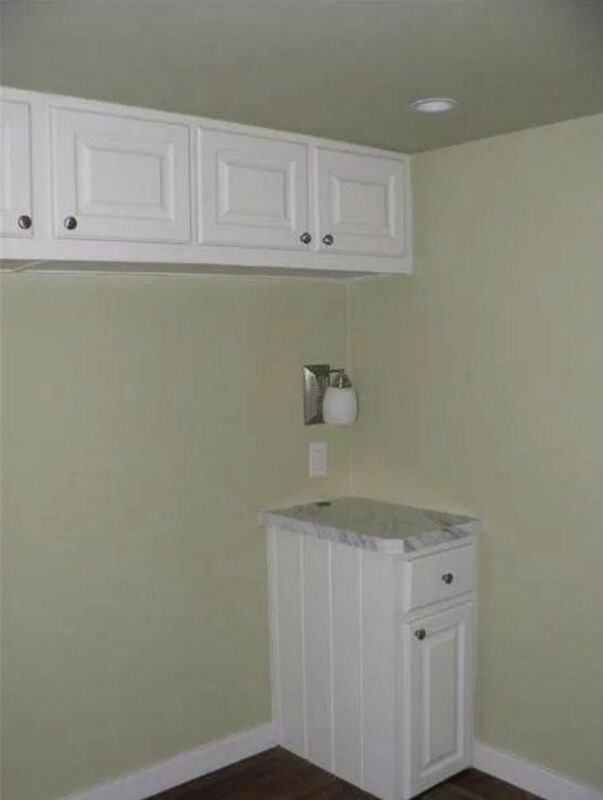 Notice the many storage options the kitchen alone displays. The carpeted stairs lead to a loft that can double as a second bedroom for guests. Ample, tall windows fill the rooms with light. The white color scheme can be found throughout the park model, making its lines clean and elegant. 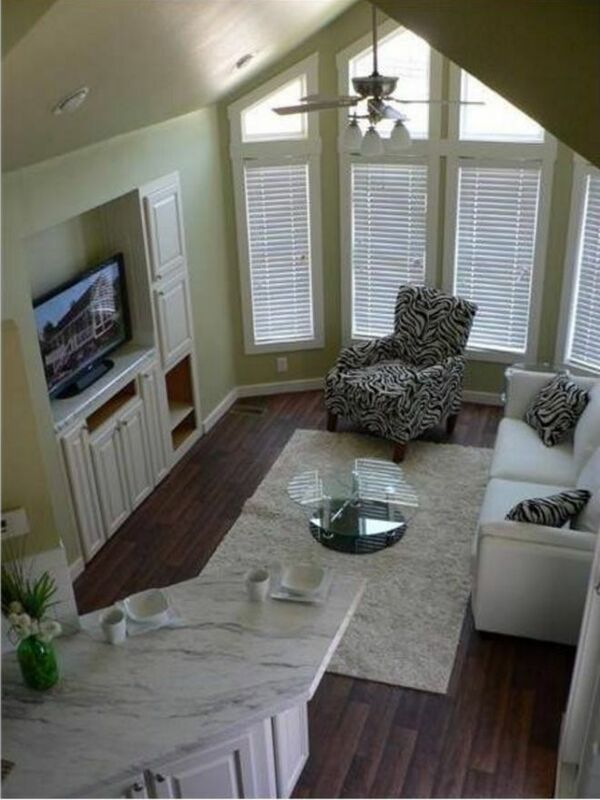 Accents like the zebra pillows or armchair stand out more thanks to that design choice. The bathroom comes complete with shower. 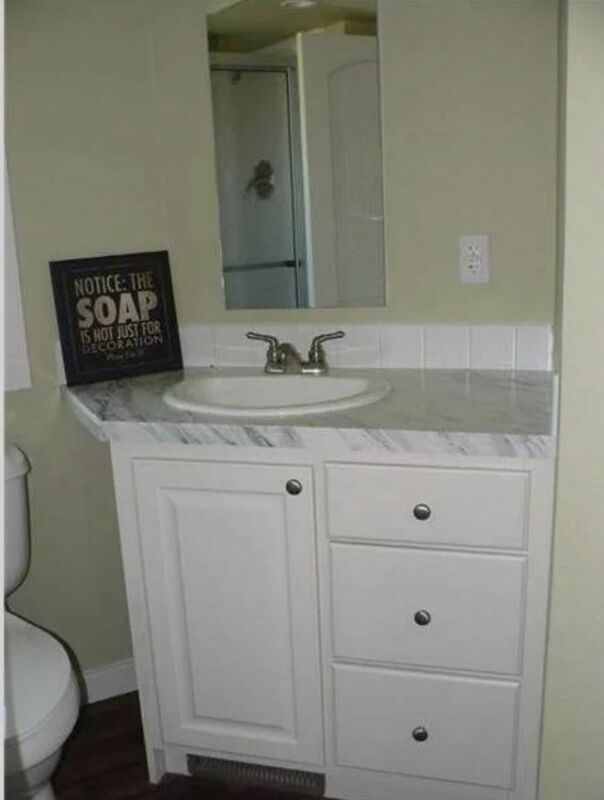 It displays an ample cabinet underneath the sink. The bedroom, pictured below, has built-in nightstands and over the bead cabinets, not to mention the closets that can be seen in the floor plan. There's plenty of storage space in every single room of this park model. 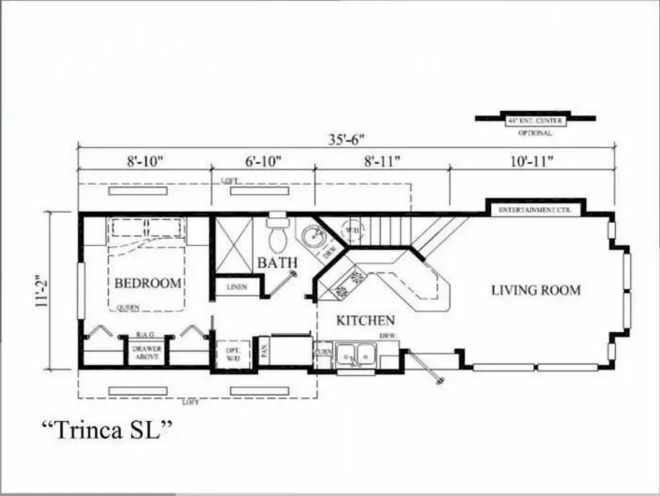 In the floorplan below, you can see the open layout of the common area and the kitchen. There's also a pantry and a linen closet right in front of the bathroom and more storage in the bedroom. Would you like to own a park model like the Trinca? Please, SHARE it with any of your friends you think will be inspired by it! To see the interior and floor plan of this pavilion-style cabin, click the image above. A rustic park model with a light-filled interior. Him and his family have been living inside this abandoned stable, but it's not what you'd expect.